Lately libraries have become a popular meeting place for children and teenagers, where they can spend their free time using internet and playing with friends – especially those children whose parents cannot buy a computer or pay for the internet at home. Librarians from Ludza Town Library (LV), Rokiškis District Municipal Library (LT) and Jēkabpils City Library (LV) noticed children’s interest and will work together in the project Interactive educational space – efficient way of social integration of children from disadvantaged families (OPEN UP) in order to create conditions in Ludza, Rokiškis and Jēkabpils libraries to facilitate socio-economic activity of children from disadvantaged families, contributing to improvement of living conditions in border region of Latvia and Lithuania. 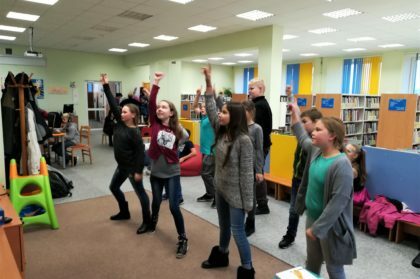 The libraries will organise training sessions for groups of children in Ludza (LV), Jēkabpils (LV) and Rokiškis (LT), when they will visit different institutions, companies, organisations to see their work, they will have interactive games using Xbox, they will make videos and presentations. Two international camps are planned – one in Jēkabpils (LV) and one in Rokiškis (LT). The librarians will meet their colleagues abroad and will share experiences – three joint seminars and a study trip to libraries in Berlin are planned. 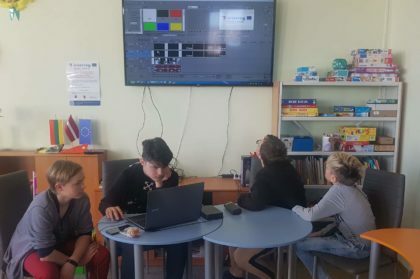 In Rokiškis District Municipal Library premises will be repaired to be more suitable for children; all libraries will purchase desktop and laptop computers, Xbox video game consoles, interactive boards, etc. for interactive education and games. As a result, the modernised libraries will OPEN UP self-development opportunities for deprived families’ children by providing them a possibility to extend their outlook by visiting various institutions, using interactive education possibilities, reading books, watching films together, so they spend their free time more meaningfully, acquiring new skills in using modern technologies. OPEN UP project opened new cooperation possibilities between children and librarians. 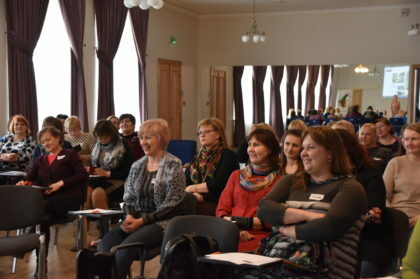 In September 2018 Ludza (LV), Jēkabpils (LV) and Rokiškis (LT) libraries started organising so-called OPEN LESSONS for anyone interested. Ludza Town Library (Latvia) is so active, that sometimes it seems that if it had larger premises, it could become a regional multifunctional educational and free time centre. Extra Work group meeting "Camp No 1"
Seminar "New technologies in social integration - advantages and risks"
International seminar "How to behave in critical situations"